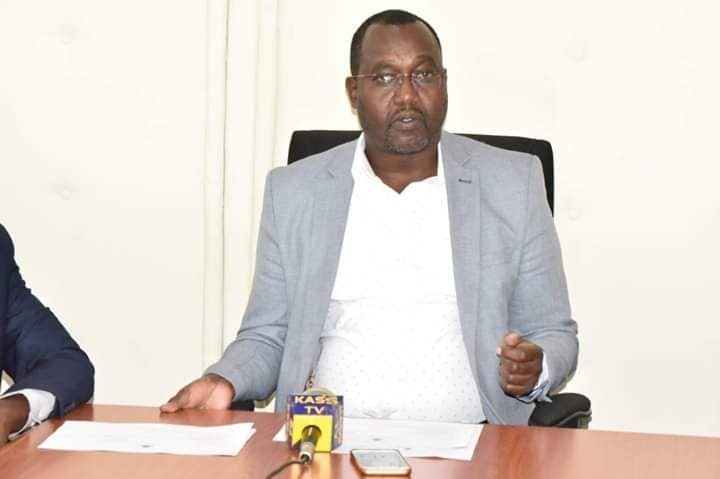 Nandi County Acting County Secretary and Head of Public Service Dr. Francis Sang has made major changes affecting medical superintendents, clinical officers, nursing officers and hospital administrators in a move meant to enhance management of hospitals in the county. 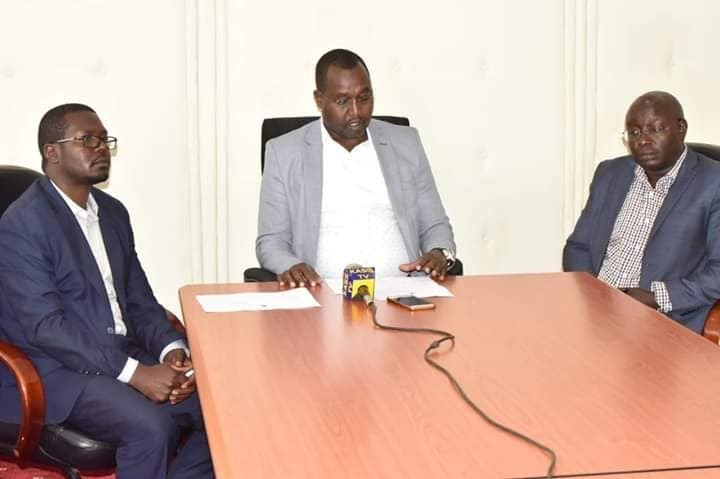 The most notable change is that of the acting county director of health Dr. Joseph Kangor, who will now also act as the Medical Superintendent at Kapsabet County Referral Hospital. The new Medical Superintendent at Kabiyet Sub County Hospital is Dr. Daniel Kemboi. He will also coordinate medicals services at Chepterwai sub county hospital. Dr. Kemboi has been the ADMS/MOH at Nandi hills hospital. Former Kapsabet medical superintendent Dr. Shadrack Kemei will be a Physician at the Department of Medicine, Kapsabet county referral hospital. Dr. Erick Terer moves to Kapsabet County Referral Hospital as a medical officer, department of medicine. He was the medical superintendent at Mosoriot sub county hospital as well as the MOH Chesumei sub county. Benjamin Arusei is the new Clinical Officer Incharge, Kapkangani Health Centre. Daniel Keitany has been moved from Kapkangani to Mosoriot as the Clinical Officer Incharge. Isaac Korir moves from Kabiyet to Nandi Hills sub county hospital as the Clinical Officer Incharge. The changes also will see Charles Kotut heading to Kabiyet as the Clinical Officer Incharge and tasked to establish an ENT Clinic. Patrick Kenei will remain at Kapsabet County referral hospital as the Clinical Officer Incharge/Clinical Oncologist and also the In-charge Clinical Internship Program. Susan Biwott becomes the new Nursing Officer Incharge at Mosoriot sub county hospital. Esther Murgor is the new Nurse Incharge Maternity department at Mosoriot sub county hospital. Asenah Tarus moves from Mosoriot to the Kapsabet county referral hospital as the deputy nursing officer Incharge. The changes will see Keneth Kandie moving from Chepterwai to Kamasai dispensary, Caroline Bore from Nandi hills to Ol’lessos, whereas Anne Yego from Ol’lessos to Chemuswa. Judy Jepkemboi heads to Nandi hills from Chemuswa. “The government continues to engage in reforms as it works towards fulfilling its mandate of saving lives and offering the much needed services to Nandi residents while at the same time creating a conducive working environment for our health workers,” said Dr. Sang while announcing the changes. Meanwhile, changes have also been made within the hospital administrators. Obed Limo is the new Hospital Administrator at Kapsabet county referral hospital. He was the administrator at Kabiyet hospital. Nicholas Korir has been moved from Kapsabet to Mosoriot in the same capacity. Zeddy Jelagat is the new administrator at Chepterwai sub county hospital. She has been moved from Mosoriot. The changes have been termed as routine, only meant to enhance service delivery. In the changes, Noah Lagat moves to Kabiyet from Cheepterwai. Also moved in the changes are Judy Chepkoech, a CHEW at Meteitei sub county hospital who heads to Koilot Community unit in the same capacity as a CHEW. Kennedy Terer who is a dentist has been transferred from Meteitei to Kaptumo. Nicholas Terer, a physiotherapist moves from Meteitei to Nandi hills. The changes takes effect immediately. Present during the announcement were Dr. Paul Lagat, Chief Officer Medical Services and the acting director of health Dr. Joseph Kangor.